With winter just around the corner, it’s a good time to be conscious of the symptoms of osteoarthritis, one of the most common afflictions of senior dogs and cats (yes, cats get arthritis too!). As people with the same condition can tell you, cold weather can wreak havoc on diseased joints and cause a great deal of discomfort. But a little preparation and coordination with your vet can help your pet keep the pep in his step through the cold months ahead. Arthritis (i.e. joint inflammation) can have a variety of causes. Prior trauma, degenerative disease, developmental disorders, and infection are just some of the most common causes for a painful joint. Although most people think “old dog” when they hear the word arthritis, it affects all sorts of pets, of all ages. The signs of arthritis are many and often subtle, and may go unnoticed until well into the disease process. Pets with arthritis don’t tend to cry out in pain, leading many people to think that their older pet is “just slowing down” instead of having a medical problem that can be helped. Owners may notice slowness when the pet rises from the floor or a seated position, especially in the morning; being a little cautious on the stairs; a subtle but persistent limp. Cats are even more subtle in their disease symptoms, which may be nothing more than reluctance to jump onto a counter or bed. Once your veterinarian confirms the diagnosis of arthritis, there are many treatment options that can help your pet age gracefully and feel more spry and limber well into his or her golden years. There are lots of choices to help pets through the cold winters. Sweaters and heated pet beds are some of the most common choices. There are heating pads on the market specifically made for dogs, with pet-friendly fillings and Velcro straps to help the pad stay on a canine hip. Ask your vet for recommendations so you don’t unintentionally cause burns to your pet with a heating source she can’t get away from. Prescription medications:The most well-known choice for arthritis treatment, medication can be a lifesaver for many dogs and cats. Non-steroidal anti-inflammatory drugs (NSAIDs) are the most commonly used, though other options are available. Products such as Rimadyl, Deramaxx, Previcox, Metacam, and Zubrin are some of the most popular options.While it’s tempting to just ask your vet for a prescription, there are a few things you need to keep in mind, as NSAIDs are not without side effects. Your veterinarian will want to monitor your pet regularly and will likely require blood work to make sure his liver and kidneys are functioning well. Pets with other medical conditions may be best served by other treatment options. 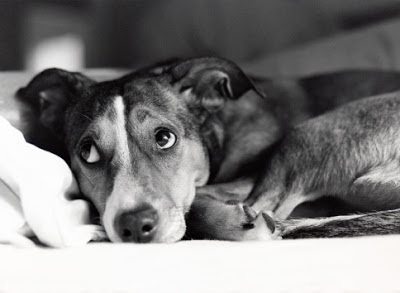 Do not give your pet any over-the-counter human medications! They are not as effective in pets as in people, and carry the risk of some very serious side effects. Just ask the Rottweiler I treated who had a perforated gastrointestinal ulcer after taking Aleve. Adequan is a cartilage component, given as a series of injections, that provides building blocks for damaged cartilage in addition to slowing down the enzymes responsible for degeneration. This is an FDA-approved product that, like glucosamine and chondroitin sulfate, can be used in conjunction with other treatments. Lots of people may chuckle at the idea of a dog relaxing on the exam-room floor with needles sticking out of his head, but those who have seen the results aren’t laughing — they’re smiling. Acupuncture has been shown to reduce pain and increase endorphin release in arthritic pets, often reducing and sometimes eliminating the need for prescription medications. This can be a boon to pets who are unable to use NSAIDs due to underlying renal (kidney) disease or other medical conditions. Acupuncture can be performed in combination with other treatments. Without question, the pain and inflammation of arthritis is worsened by carrying extra weight. Owners who have spent hundreds of dollars on medications are often amazed at the difference in their pet when they finally give in and commit to a weight-loss regimen for their overweight pet. Arthritic dogs don’t like to exercise, leading to more weight issues, leading to more arthritis — it’s a vicious circle. But low-impact exercise such as walking combined with a diet is extremely beneficial to arthritic pets. The bottom line is, there are many approaches to managing arthritis, and the most successful ones combine more than one of the above treatments. With your veterinarian’s guidance and your own commitment, you can do a great deal to improve the quality of life for your arthritic pet!